Do you have any LaserLight gift certificates lying around, that maybe you won in a raffle, or someone purchased for you? Do you have any Living Social vouchers that you neglected to use before they expired? Lisa J.’s (name changed to protect her privacy) husband bought her a LaserLight Gift Certificate nearly 10 years ago for her birthday. He paid $100 for it, and it was during our Enhanced GC Program so we had added $25 to its redemption value. She tucked it away for future use, went on with her life which included the births of their three children, and it languished. Two months ago, Lisa called me and asked if by any chance LaserLight would honor it. Coincidentally, a woman named Joan pulled out a voucher she had bought in 2012 from Living Social to get 65 percent off one of our most popular treatments. Clearly beyond expiration on the “deal,” as she was about to throw it away, she called to see if it was still valid for at least the value she paid. “LaserLight said ‘yes’!” Joan said. If you have any LaserLight gift certificates lying around, or vouchers that you neglected to use before they expired, DON’T THROW THEM AWAY! For a limited time, we are declaring amnesty, and WE WILL HONOR THEIR PAID VALUE — PLUS* at least 20%! 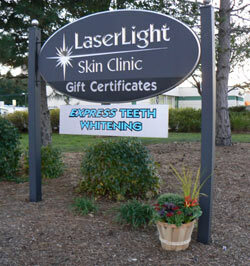 Call now to schedule an appointment to see what your aging vouchers and Gift Certificates are worth at LaserLight! The value-add offer ends October 15th. * Additional amount may not apply to silent auction items purchased. You must present the original, and/or proof of purchase. Copies, either electronic or paper, will not be honored. Other restrictions may apply. Call for details. NOTE: the following information applies to most skin types, although it may not apply to all. For a determination about laser use on your specific skin, schedule a no-charge skin evaluation with an experienced, qualified Certified Laser Technician at LaserLight. MYTH #1: You cannot get Laser Hair Removal when you have a tan. RESPONSE: The state-of-the-art lasers that LaserLight uses have been designed to “by-pass” the pigment in the skin, and to instead target the hair below the surface. MYTH #2: There is no way of knowing if your tan is too dark to be lasered safely. RESPONSE: Before starting your treatment, your LaserLight Technician uses a tool that passively “reads” the amount of pigment in the area of skin you want treated, so that we can determine if there is too much tan for a safe treatment. We frequently perform test spots, too, to help us to make a good determination. MYTH #3: You cannot go out into the sun after getting a laser treatment. RESPONSE: Use sunscreen on the treated area. A laser treatment — whether for hair removal or for removal of skin imperfections — can make your skin a little more vulnerable to the harmful rays of the sun. We give you a detailed set of aftercare instructions to help you to protect your skin in the sun effectively — which includes using hats, clothing and sunscreen. After all, isn’t it often the point of lasering, that you feel confident to bare more of your skin in the summer weather? Our recommendations? Talk to us. Be calm and laser this summer. What Do the Gen-Xs and Gen-Ys Demand for Their Skin that Baby Boomers Don’t? By Patricia Funder, M.S., C.L.T. Are you tired of shaving yet? Are you dreading the last-minute pool or boating invitation, because your bikini line might be due for shaving or waxing, but doing so leaves a red, bumpy rash? Invest 40 minutes to see how laser hair removal can help you — without the pain, itching and frequent treatments that accompany other hair removal methods: call LaserLight for Men and Women, at 781-871-2224, for your FREE consultation. Our perpetual-motion Generation-X and Generation-Y clients, who value their time beyond what Baby Boomers ever did at their age, have jumped all over Laser Hair removal as one of the methods they use to get ready for any summer event that pops up on their Smartphones. What do they know that their moms and dads are missing? An end to constant waxing, trimming, electrolysis: It takes only six to eight visits to put a stop to hair growth in the laser-treated area. At LaserLight, we constantly hear people complaining that they have been using other hair removal methods for years – and they still have a lot of hair! More money in their pockets: There is an END to treatment with laser, while other hair removal methods will insipidly drain your bank account over a lifetime. Even electrolysis, the only one among the others that FDA has approved for market as being “permanent” hair removal, can take years to get to “clearance” of an area. Relative comfort: When hair grows back after other hair removal methods — which do not provide long-lasting results — the area often itches and hair can even become in-grown. Not so with laser hair removal treatments. First, the hair growing post-treatment is from follicles that were dormant when you were lasered, and the new cycling into growth feel lighter and finer. The area typically does not itch. Second, using LaserLight’s equipment with patented Continuous Contact Cooling™ clients easily manage the small “pinch” they may feel during the actual treatment. Other methods usually hurt more. Confidence in their appearance: the Gen-Xs and Gen-Ys have no worries about hair poking out of the bathing suit or shirt collar, and no sudden fears when checking the mirror in the car that they have undesired facial hair. They did their research, and seeing that laser is safe and works well, they took care of the problem. If this doesn’t convince you that you can look and feel younger, smoother and more confident because you invested short-term in a long-term solution for hair removal, then call LaserLight at 781-871-2224, and ask all the questions this blog raises for you. 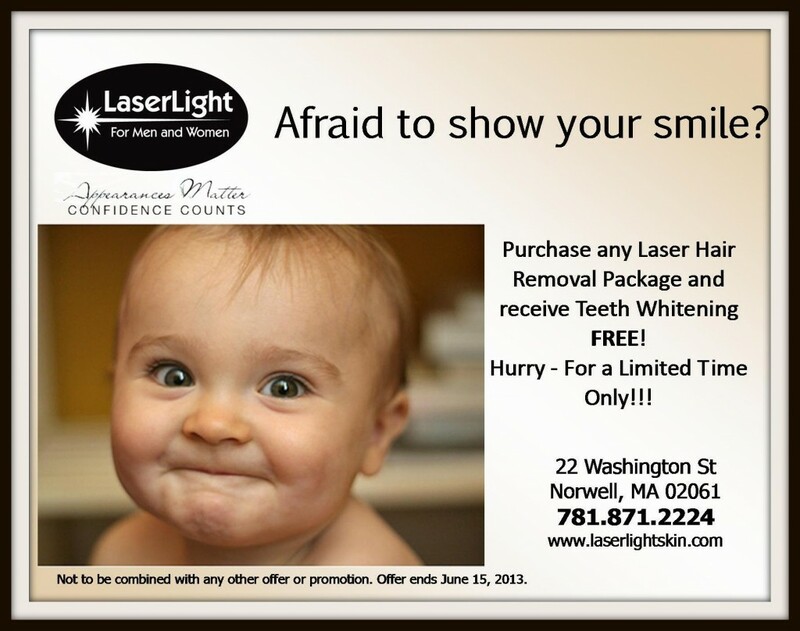 We will give you a financial incentive to give laser a try. Copyright 2014, LaserLight Skin Clinic, LLC and Patricia Funder. Do you really know what you are getting when you purchase one of the deeply discounted “deals” that a number of companies host and promote through emails? They offer some number of laser treatments (usually six these days), claiming the price to be as much as 90 percent off. Is the treatment the same as when you pay full price? Do they do as many passes over the area? Do they use optimal (or sub-standard) energy levels when treating a client with a “deal” voucher? 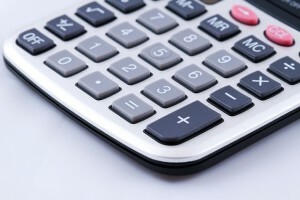 Do you get the same preparatory consult as a full-price paying client? Do you get the same aftercare instruction and training, or the same aftercare lotions? So what about the other leg? You do want a matched set, don’t you? Since they limit one deal per person, and six leg treatments are a $3,600 value (see above), then you would have to pay $600 per treatment for your other leg! And don’t think that you can divide the six treatments between your left and right legs; the fine print says: Must use all treatments on the same area. Hands or fingers, considered small areas for which you pay $139, do not fare well under this program, either – most people who have hair on their hands have it on their fingers as well, and vice versa. Purchase the deal, and you pay $23+ per treatment – but at a “value” of $1260, you would have to pay about $1,000 more than what LaserLight charges for six hair removal treatments for hands and fingers. If you can be happy with half your hands smooth and hairless and the other half hairy enough to comb, go for the deal. Beyond the cost, what else do the purveyors of these “deals” omit from their standard treatments so as to make up for the deep discount they offer? First, do they use Certified Laser Technicians to perform the treatment, and do they use energy levels that are sufficient to get results for your skin type? At LaserLight (where you will ALWAYS get treated by a certified and knowledgeable technician, whether we get paid $1 or full price for a treatment), you get the very best service and energy levels adequate to give you real and permanent hair reduction. We also cover the area with two passes with the laser, to ensure the best outcome. Even prior to your treatment you get a complete FREE consult, pre- and post-treatment, to ensure that you are comfortable, knowledgeable, and able to care for the treated area post-treatment. We believe that it is not a deal if you do not get the best we have to offer. Finally, are you a person who has the time to chase down these deals? How far do you have to drive to get there and back? Do you calculate into the cost of the treatment the amount for the gas you use, or the parking fees if you go into a city location? Do you calculate the cost for your time? (Refer to LaserLight’s ROI — Return on Investment – page at http://laserlightskin.com/laser-hair-removal/cost-analysis.) For example, if your annual salary is $75,000, your estimated “hourly” rate would be about $30.50. So if you have to drive an hour (each way), then add $61 to the cost of each treatment. Having said that, we regularly draw customers from as far away as Vermont, New Hampshire, and Rhode Island. They cite the knowledge share that we provide to our clients, and the privacy: we do not fill our waiting room with people waiting for appointments, so that we can make up for the dollars we lose on the “deal” with volume, or fast turnaround. We recommend that you research the provider of the deal before you buy, and make sure that you are getting what you expect for your money — in terms of expert treatment and education, and in terms of effectiveness. And finally, if you are unsatisfied with the results you get, please call LaserLight to complete the hair removal for you. Many others before you have done so. 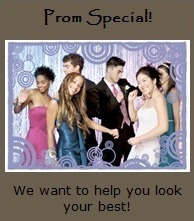 Can you or someone you know use a little help to look their best for the prom or graduation? This spring, LaserLight will be offering Prom and Graduation specials that include underarm hair removal, teeth whitening, and acne reduction. It typically takes a few laser treatments to see the results you want — so make sure to schedule your treatments at least a month in advance of your big event! Call (781)871-2224 today to take advantage of these offers!